Flora grape – an addition to the small inventory of American wines. Flora Californica is a comparatively recent addition to a rather new and small inventory of American vines. 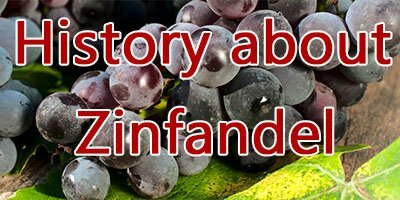 It was developed by a viticulturist in the 1930s and is now a popular local variety in the sun-baked towns of California. It is a white variety that very much resembles Pinot Gris in body and flavour and is now being cultivated to produce some exclusive Californian wines in the state. These wines are best suited to produce off-dry wines with lots of floral and fruity aromas. Historically founded recently in the 1930s, it is now one of the most sought after vines, if not the most popular in California. Some of these grapes also seem to have found their way all the way to New Zealand where it enjoyed a temporary fame. However, because of the somewhat unsuitability for the vine to grow in New Zealand’s climate, Flora soon became obscure over there and got replaced by other varieties. Flora was founded in 1938 by a viticulturist Dr. Harold Olmo, a legendary and an expert viticulturist working at the University of California’s prolific campus of genetic studies. Dr. Olmo intended to develop a vine that could withstand the hot weather of California while being resistant, hardy enough to survive drought conditions and grow well on the dry sandy soil of the state. The cross of Gewürztraminer and Semillon thus took place in university grounds and Flora Californica was born. Flora continued to develop gradually in the wine market. It was, however, proved to be unsuitable for blended wine category, although it has proved its worth for the varietal category, especially in New Zealand where it was introduced in the 1970s. There, it rose and was sidelined due to failure to meet the market demand; it has again resurfaced after 20 years. Here in California, Schramsberg Vineyards are some of the major producers of Flora. They sell as Cremant label, and have produced some excellent sparkling wines, that have also been preferred by presidents Ronal Reagan and his successor George Bush Sr. In this new millennium where technology is fast changing the wine industry, Flora has shown great potential to become a popular white grape that can grow in appellations with moderate climates such as Yorkville’s highlands. Yorkville Highlands are one of the major appellations that produce Flora. Flanking on both sides by highway 128, the region was given AVA status in 19998 owing to the distinctive soil and climate that were suitable to grow a lot of vines. Yorkville’s soil is rocky with high gravel content, differing from the loamy, and clay soils from neighbouring appellations. This allows the roots of several varieties to dig deep inside to fetch water, resulting in very fruity wines. Temperatures here are in fact very suitable to grow varieties like Sauvignon Blanc and Merlot. Currently, Flora is also being cultivated here. Flora is also being cultivated in California State as a whole. This state, in statistical terms, produces more wine than Italy, France and Spain combined. With 480,000 acres of vineyards covering the landscape and some 560 million gallons of wine produced, it is indeed a wine producing juggernaut. There are of course obvious reasons behind California success as one of the only few states to produce so much of beverage, since the climate and soil here is almost universally suitable to grow any kind of variety that could come in one’s mind. Currently, Flora is being experimented and its processes are being closely observed by Californian winemakers for it to start gaining fame in the future. Flora produces some sparkling wines with low levels of acidity. It is well suited to produce off-dry wines with lots of intense aromas of pear, lychee and spicy flavours. Flora is like any other sparkling variety, an ideal match with those items that are medium sweet or spicy in character. California’s cuisine itself is a lot influenced by Spanish elements, so one could enjoy a Flora cup here with almost anything. Tacos, radicchio salads dressed with gorgonzola, pear and walnuts or simply said, a Thai green curry.